YORK, ME - On April 28th, the WS1SM team activated Mt. Agamenticus for Summits on the Air. The day started out with breakfast at the Maine Diner, and then it was off to the hilltop. Once on the summit, they setup numerous antennas, including a BuddiPole and dipole for HF and a pair of J-Poles for 144 and 220 MHz. On May 5th, WSSM members taught a 3 hour course introducing Amateur Radio to students of OOB / Saco Adult Ed. 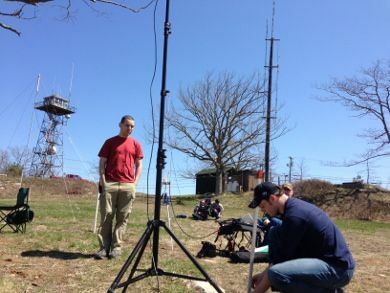 The course, held at the Old Orchard Beach High School, was designed to launch students on the path toward earning their first ham radio license. 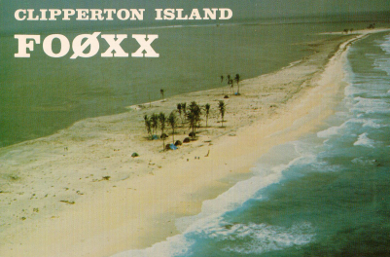 We'll take a closer look at a collection of QSL's from historic expeditions to Clipperton Island. 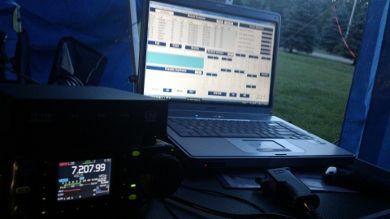 GORHAM, ME - A few weeks ago, WSSM members asked a question over coffee: "Wouldn't it be awesome if there was a twice around the clock HF contest that emphasized contacts with Maine stations?" 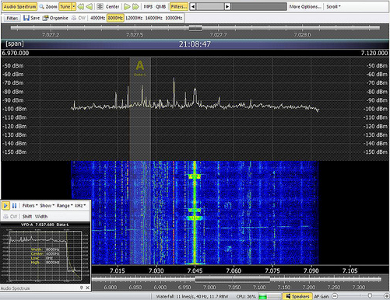 The result, after several weeks of development, is the Maine QSO Party, which takes place September 29th. Its that time of year again! On the weekend of June 22-23 join us for Field Day at Wassamki Springs Campground. Special thanks to the Hillock Family for once again providing an outstanding location to hold this event. PSK-31 Code Gets ITU Official "Seal of Approval"
The code behind the popular PSK-31 digital mode has now been officially endorsed by the International Telecommunications Union and given its own "recommendation" number. The Wireless Society of Southern Maine would like to welcome new members: Rick Fickett, K1OT, Ulrich Mueller, DK4VW, Mauro Pregliasco, I1JQJ, Jerry Ricard, and Virginia Price. Before I start talking about the benefits of roasting wierners on your yagi elements, I'd like to congratulate Bert Dumont KB1ZLV, and Dakota Dumont KB1YYC, on upgrading to General this past week! Great job, and enjoy your new privileges! In the March/April issue, I commented on the possible impact that a Bill in the Maine State Legislature may have on the amateur radio community, but most recently its the actions of the FCC that deserve a little scrutiny. 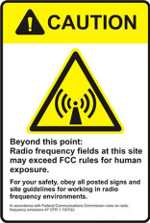 The FCC is aiming to modify some portions of the current RF exposure rules which would eliminate the existing special exemptions from evaluation in the Amateur Radio Service in Section 97.13 (c) of its rules. Among other things, this could severely impact the way amateurs transmit in public spaces. On March 27th, the FCC released a First Report and Order, Further Notice of Proposed Rulemaking and Notice of Inquiry (ET Docket Numbers 13-84 and 03-137). Publication in the June 4, 2013 Federal Register started the clock on a 90-day period for comments, making the deadline September 3. There is an additional 60-day period for reply comments, until November 1. The unusually long period for comments reflects the complexity of the proceeding and underscores the Commission's desire for specific information on the costs and benefits related to the RF exposure issue. Minor rules changes adopted in the Report and Order section of the document take effect on August 5th. A summary of the document is available by clicking here. I'd like to urge everyone to become familiar with the proposed changes, and make use of the comment period by contacting the FCC here with your questions or suggestions. It may also be beneficial to contact your representatives in Washington.